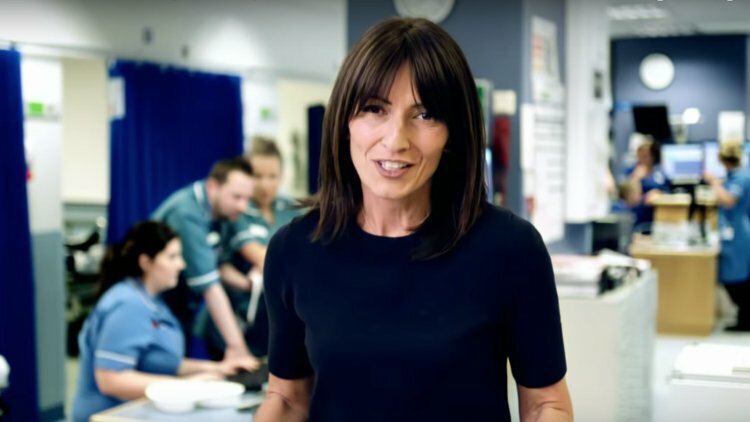 Come and see A&E as you have never seen it before... Davina goes behind-the-scenes at Leeds General Infirmary for a live three-night ground-breaking programme on ITV, highlighting what really goes on in a busy A&E department as part of the 70th anniversary of the NHS. "We want to give the viewers an insight into what one of the busiest, most efficient, trauma centres in the UK is really like," Davina says of the show. "But not just inside the A&E department - from the 999 phone call, from the ambulance, all the way through to A&E itself, to really celebrate the NHS and show the amazing work that they do. "No one has ever done this before, there’ve been A&E and ambulance shows but they haven’t married the two together to show how the NHS really works and how they work together and the brilliant work they do." A&E Live, Tuesday 22nd May at 9pm, ITV.